I used to hate it when people asked me that question. I mean, I loved EVERY color. At least that is what I thought. I never had an answer for them, or my answer would change based on my mood. But then I realized something. I was looking in my wardrobe, and as it turned out…I had a lot of BLUE. Stripes and denim specifically. But all blue. I have an obsession with blue jeans, and can never seem to have too many pairs. And my chambray button up? I swear I wear it at least once a week. Denim on denim on denim…denim for days. And I must own at least 5 navy and white striped shirts. Then it dawned on me, I do have a favorite color. And as it turns out, that color is blue. I still love other colors, I am really digging coral tones lately now that Spring is in the air. I love how corals compliment skin tones and really make you look just lovely. Mint green? Yes please. But apparently, blue is my jam. I cannot believe it took me this long to realize the obvious. Why did it bother me that I didn’t know what my favorite color is? Because I am really trying to be more aware of my sewing choices. Just because I love a fabric, didn’t mean I would wear it after it was turned into a garment. My textile choices weren’t always reflective of my wardrobe choices. So I have made a conscience effort to really THINK about what I am sewing, and the fabric choices I am making – so as not to make more clothing that just hangs in my closet. 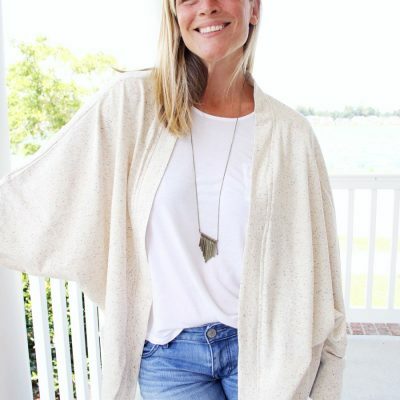 I want to make clothing that I reach for on a consistent basis, or clothing that serves a specific need. The whimsical will always have its time and place, after all – sometimes you just gotta have FUN. 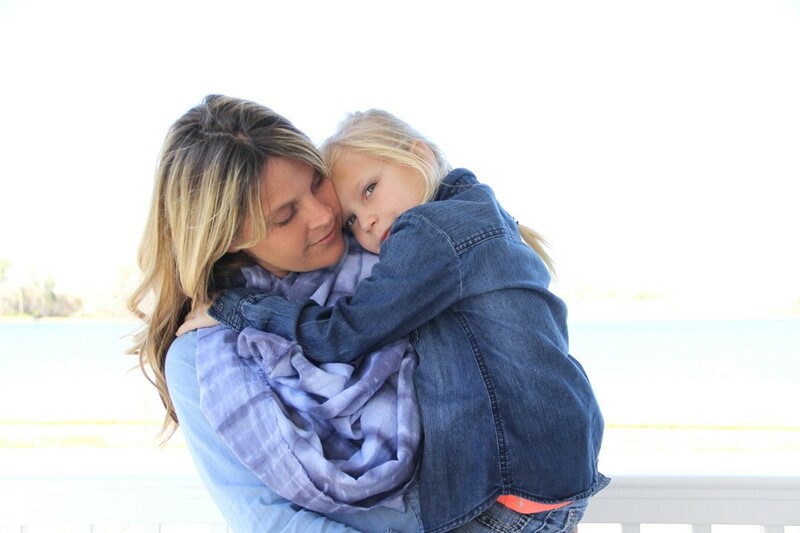 But for pieces that I want to wear more frequently – the fabric I use plays a huge part. 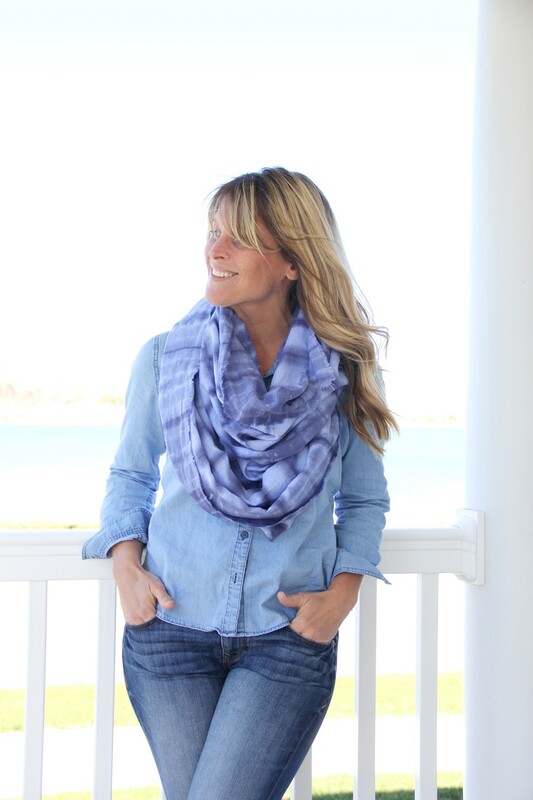 So when Spring rolled around, and I knew I wanted a new infinity scarf in my closet – I put some major thought into the TYPE of infinity scarf I wanted. 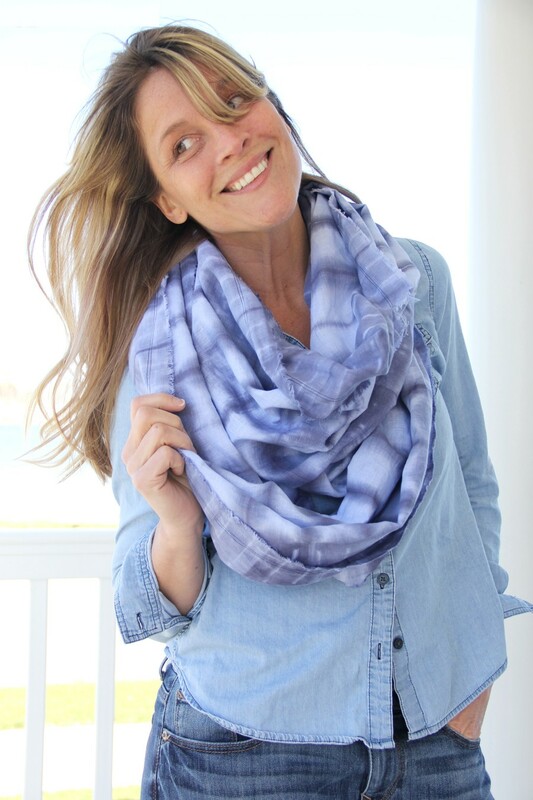 An infinity scarf that matched / complimented my current wardrobe, that would be soft on my skin, that felt trendy and was my style, and an infinity scarf that I would have fun making. 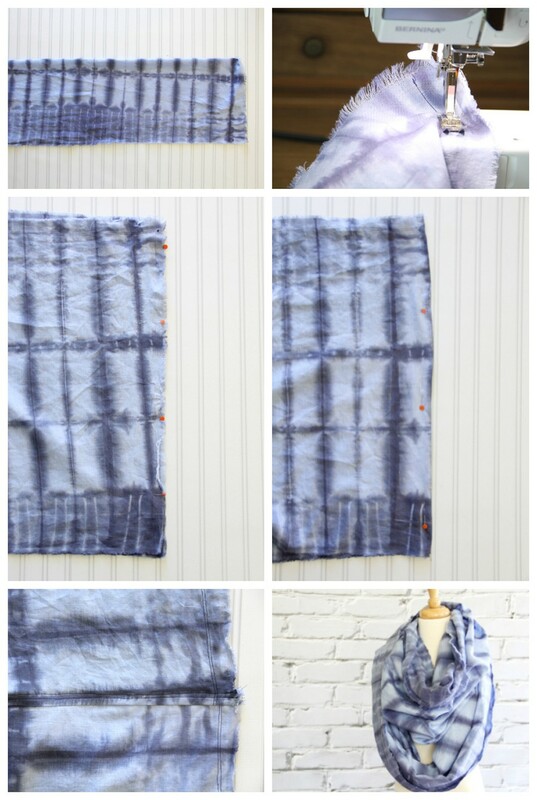 So when I stumbled across a shibori fabric image, I knew I found my match. 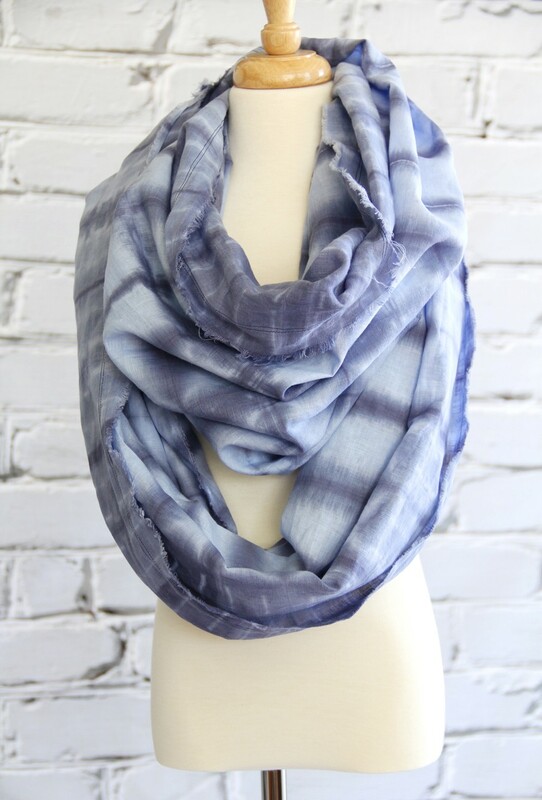 Tie dye frayed infinity scarf DIY. 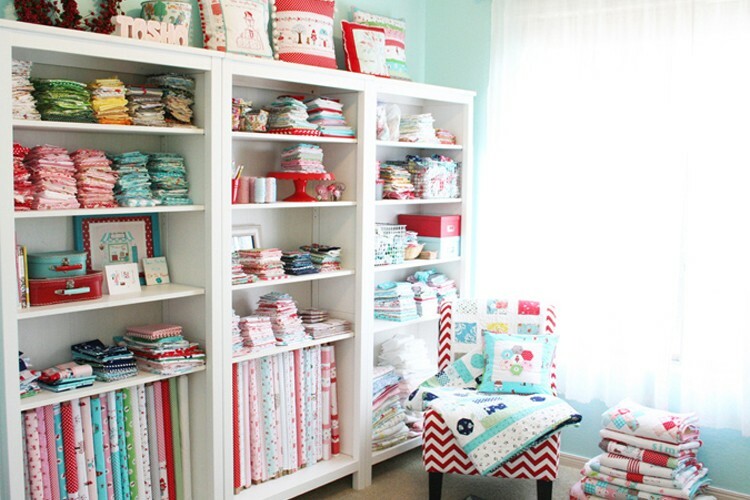 This was a paid content post first seen on Jo-Ann Fabric & Craft Stores Creative Spark blog. Jo-Ann paid for the post content to be published on their website, as well as the supplies used. All instructions and photos are my own. Thank you! Of course you can tie dye any which way your heart desires, that is half the fun of tie dying! 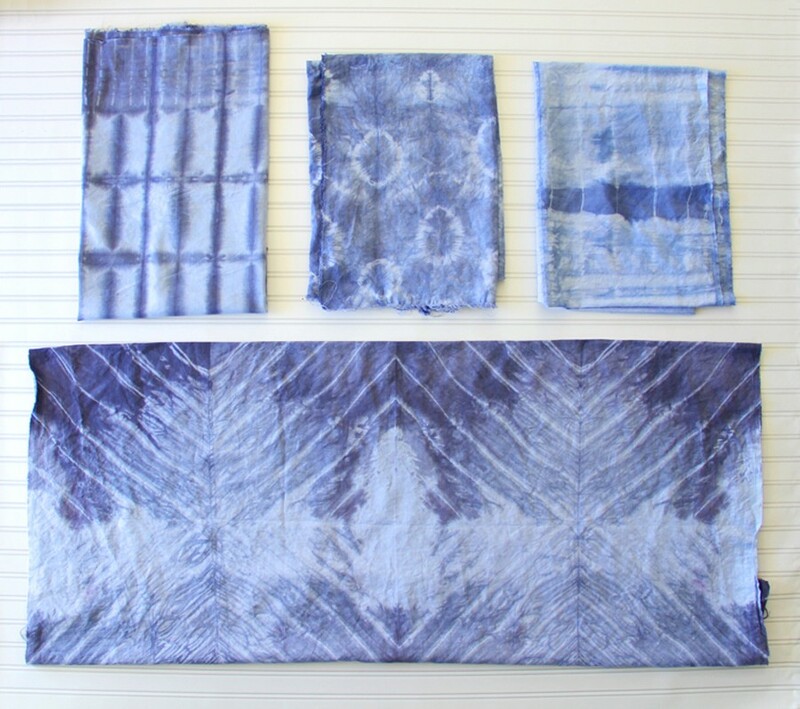 But if you are looking for a more geometric design in your tie dye method, here are a few ideas that stem from traditional shibori techniques. To create a square or rectangular pattern shape on your fabric. 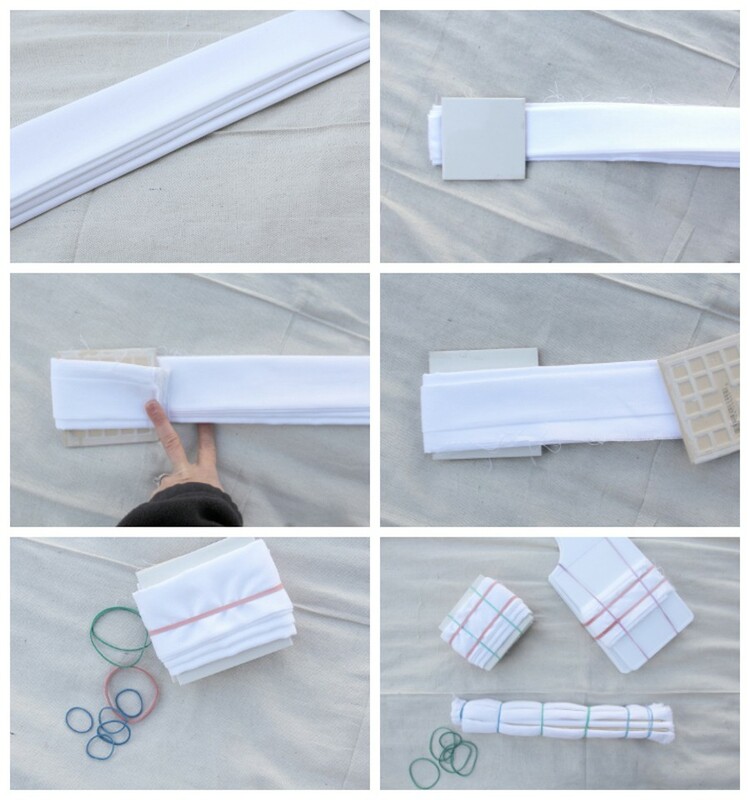 Fold your fabric accordion style, folding it back and forth evenly over itself. Press for even folds if desired. Place a tile or other square / rectangular object along one side of the fabric. Fold fabric over square, and flip fabric over. Place another tile on top of the previous tile, on top of the fabric, and fold fabric over tile again. Continue doing this, folding the fabric accordion style and inserting a tile in between each fold until you reach the end. 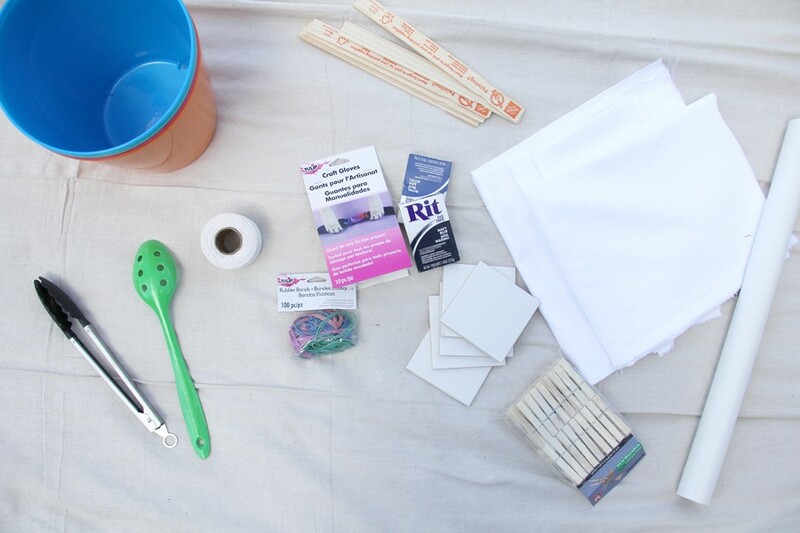 Secure the tiles and fabric in place by wrapping the fabric with rubber bands on all sides. You can do this technique with various square, rectangular, or even triangle objects to achieve different geometric fabric results. To create circular rings on your pattern. Fold your fabric accordion style, folding it back and forth evenly over itself. Press for even folds if desired. Wrap the sides of the fabric tightly in rubber bands, evenly spaced along both edges of the fabric. For more design features, you can further wrap the fabric in string, tightly wrapping the fabric in the string and tying to finish. 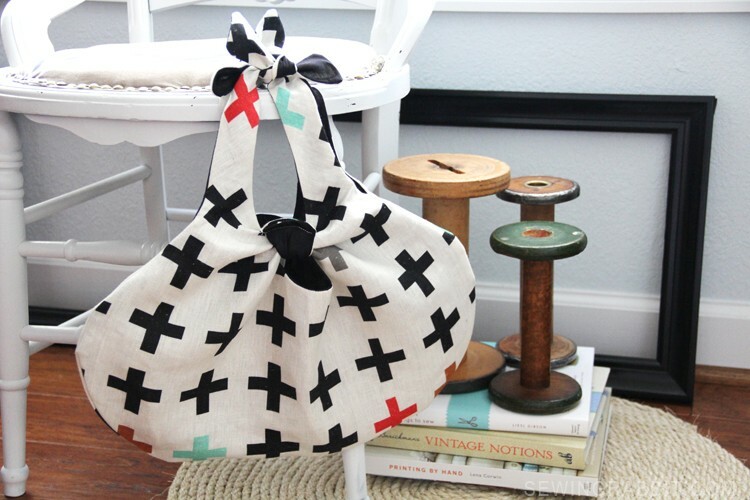 To create a diagonal x-like pattern shape on your fabric. Fold your fabric so that it is in a triangle shape, matching corner to corner on the fabric. 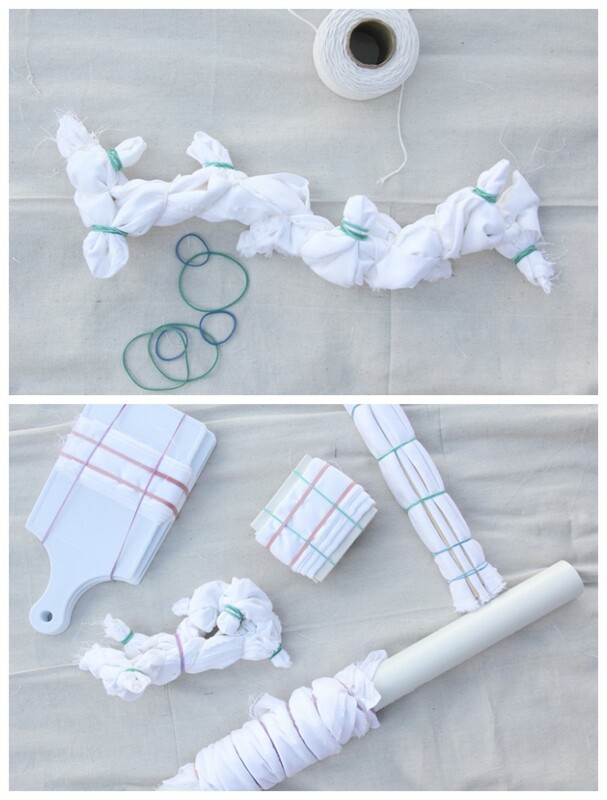 Wrap your fabric tightly around a PVC pipe, or other circular object like a wooden pole. Secure the fabric to the pipe with evenly spaced rubber bands. Once finished, bunch the fabric together by pushing both ends towards the center. 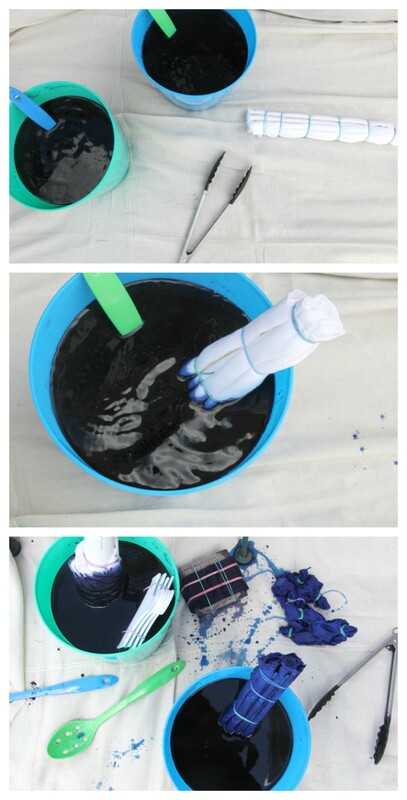 Following the instructions on the RIT dye package, immerse your fabric into the tie dye solution. Allow to set for at least 10 minutes. If needed, flip the fabric over so that both ends can be immersed in the solution. Remove the fabric from the RIT dye and allow to set for 4 – 6 hours, or overnight. Using rubber gloves, carefully remove the rubber bands and string. If fabric is not yet dried, hang to dry until complete. Gently rinse fabric in cold water until the water runs clear. Wash in the gentle cycle using NO detergent. Enjoy your new lovely fabric! 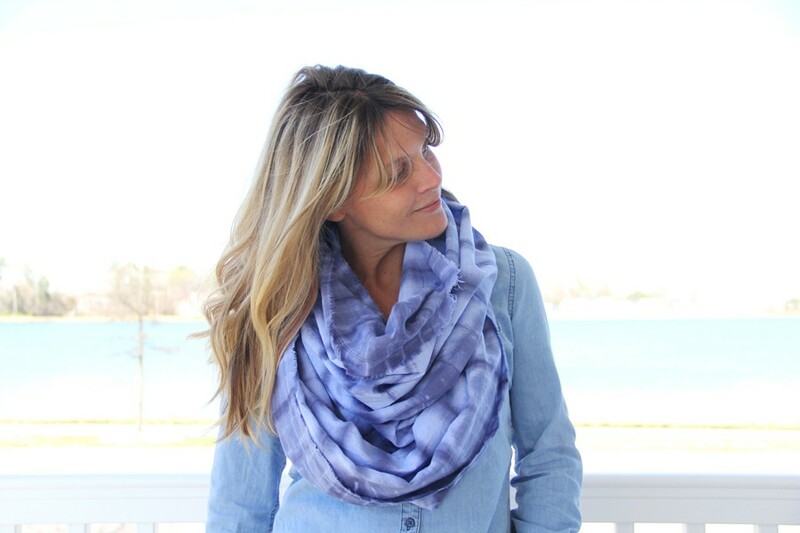 There are lots of ways to make an infinity scarf. 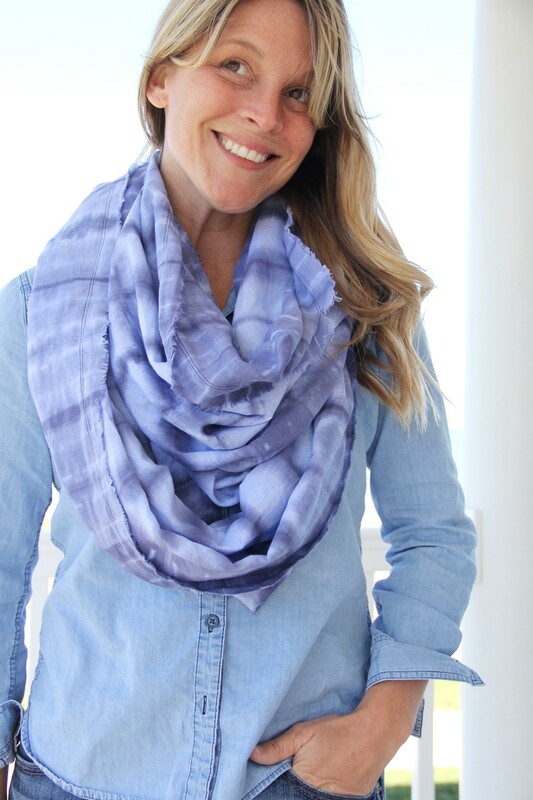 For this scarf, I like to use one continuous 2.25 yards cut of fabric, to eliminate having 2 seams on either side of the scarf. Feel free to use just over 1 yard if you wish to cut down on fabric cost, and simply cut the fabric in half and sew together to create one long piece of fabric. Cut one piece of fabric 2.25 yards long x 22” wide. 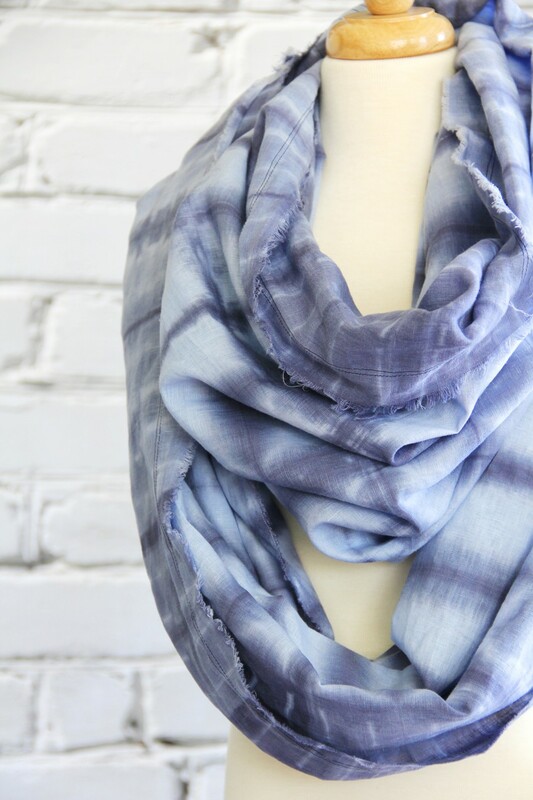 Sew a small straight stitch 1” away from the long side edges, on both sides of the scarf. 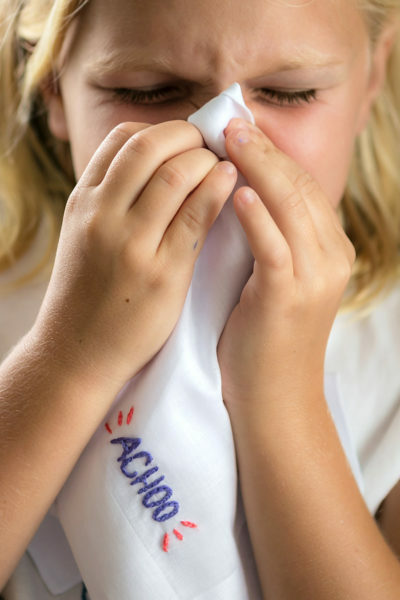 Sew another straight stitch ⅛” away from your previous line to help secure. (You can use a double needle if desired). If desired, fray the fabric along the long outer edge by gently pulling the weft fabric threads free. I chose not to worry about this process, as time will fray the scarf edges naturally. Place the 2 short sides of the fabric WRONG SIDES together. Pin and sew, using a ¼” seam allowance. Turn fabric wrong side out and press seam edge. Pin and sew the fabric seam right sides together, and sew again using a ½” seam allowance, therefore enclosing your raw seam. Press seam to one side, and sew down. 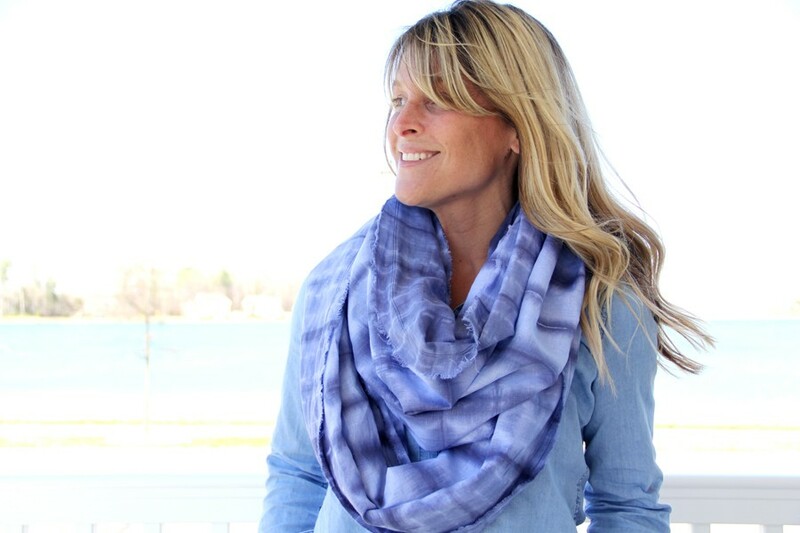 Wear your new bohemian looking tie dyed frayed infinity scarf with pride. « 16 Fabrics we are Totally Crushing on. Admittedly, I’m addicted to scarves. At last count I owned 17. And I just sewed 3 new ones last week! 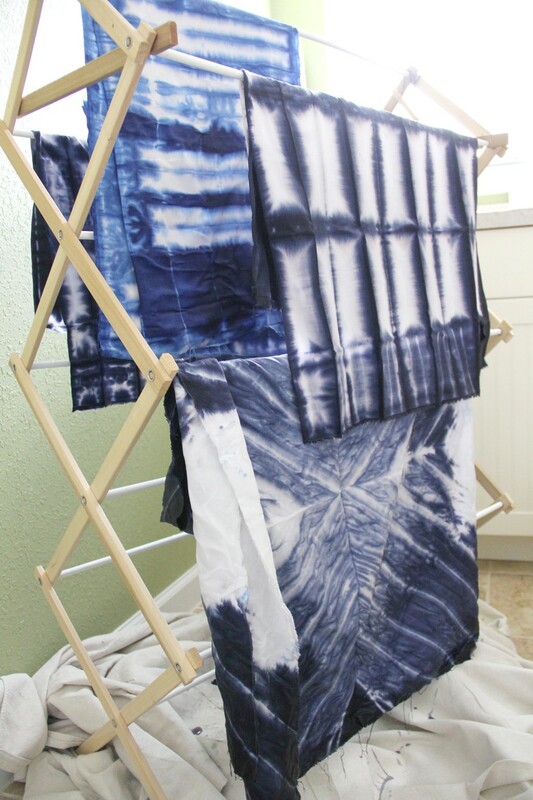 I should really go to rehab….but not before I try this tie dye method!